Easy Homemade Fajita Seasoning Recipe Mix! 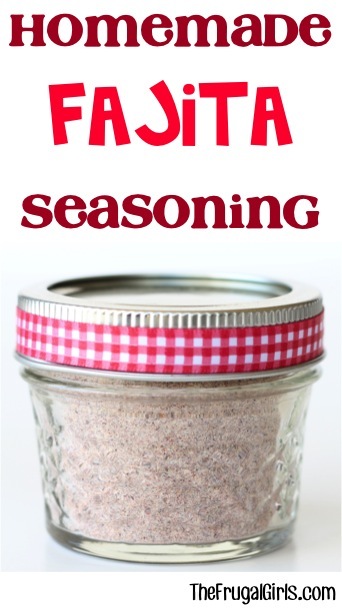 This Easy Homemade Fajita Seasoning Recipe is so yummy... and frugal! To make Fajita’s, use 3 tbsp of Fajita Seasoning Mix and add in ⅓ cup of water. Stir thoroughly. Cook 1 lb. of thinly sliced chicken in 1 tbsp of olive oil. Stir in fajita seasoning mix with water, and bring to gentle boil, stirring occasionally. Serve with grilled onions and peppers on soft flour tortillas. Enjoy!